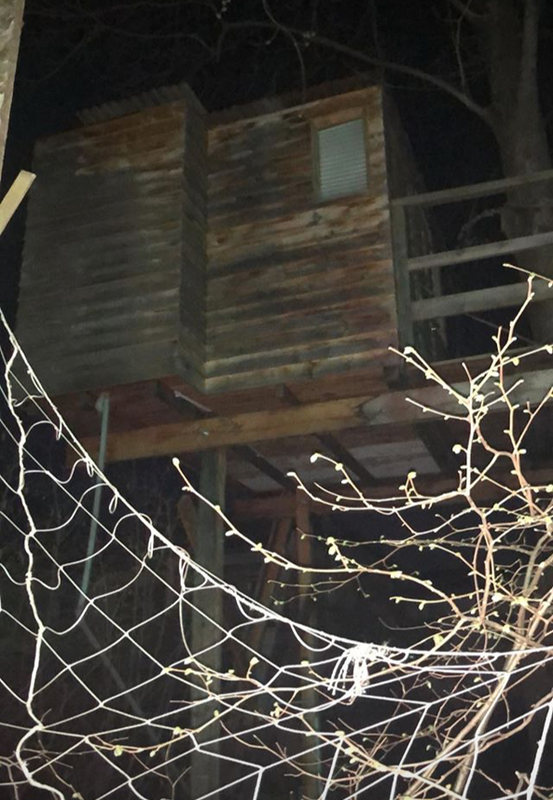 A treehouse in the forest, the darkness and the net like a sort of spider web make this treehouse at first sight a little creepy. I guess that during the daylight is a wonderful treehouse with a view on the Dolomites! South Tyrol is a magical and wonderful place, one of my favourite in the world actually and the landscape is amazing! Tnx Nicky for the pic!